Welcome to my tiny corner of the digital morass. It’s a little bit of, dare I say, literary and visual self indulgence relating to my forays into the mountains of Japan and beyond. It all started years ago. I’d been in Japan for some time, doing the English teaching thing when I pulled down an oft overlooked hiking guide from my bookshelf and noticed the occasional reference to Japan’s One Hundred Famous Mountains. A fella by the name of Kyuya Fukada had compiled a list and published a book, back in the 60’s, detailing his subjective and, maybe even tentative, selection of the land’s most strikingly beautiful and culturally significant mountains. The fabled ‘Nihon Hyakumeizan’ was born. The book became a bestseller and the hiking public adopted the selection as definitive, flocking to the mountains in droves in order to complete the entire list in their lifetimes. So in 2007 I quit work, dragged my sorry arse off the sofa, abandoned the bright city delights of Osaka and headed for the hills, claiming to anyone who would listen that I’d have Fukada’s hundred in the bag by Christmas of that year. It’s here you’ll find snippets of that story. 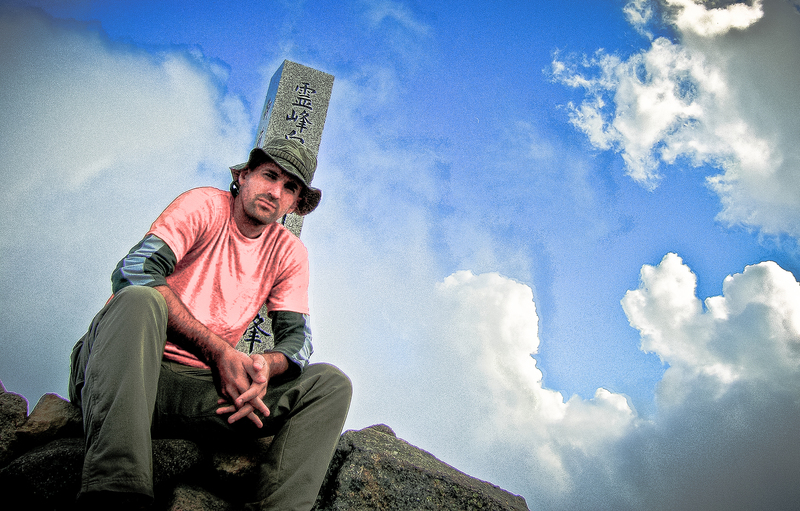 A hundred mountains under my belt I rejoined the rat race and by 2010 had settled in Kyoto. With family in tow by then we looked to take on a new mountain adventure though, at a rather more sedate pace and kid friendly altitude. The Kansai Hyakumeizan seemed to fit the bill, a local hitlist of 100 peaks that saw us venturing out into the hills every so often. That endeavour has been put on hold since early 2017, as our mountaineering trio, made way for a fourth member. All good and well, but a bloke can only change so many nappies and be thrown up on so many times before the hardships of the hills become irresistably alluring once more. Peakbagging lists abound in Japan. Like the Kansai 100-meizan, there are other regional variations. There’s the Prefectural Highpoints list. The Highest 100 list. A Hundred Flower Mountains. A dubious ‘New’ Hyakumeizan. Even a low altitude 100 for the oldies! Now the Prefectural highpoints did pique my interest for a while but there were only 47 of them and I’d alredy scaled a quite a few on my Hyakumeizan quest. I’m one for biting off more than I can chew so turned my attention to the Nihyakumeizan and Sanbyakumeizan, two additional lists of 100 peaks each, that together with Fukada-san’s original 100 comprise Japan’s 300 Famous Mountains – the Sanbyakumeizan. 2018 saw me off to a slow start and an even slower start documenting things here. Here’s hoping in 2019 I can make amends and inspire you along the way to get out and about for an afternoon, weekend or year. A bit of sweat and suffering never hurt anyone. Nice to see you’ve finally started your blog. I’ll put a link on my sites. Looking forward to hearing your stories! Yeah, bit the bullet and finally did it. Exorcising the demons mostly, heheh. What a delight your pictures are! I’m off to look at your photo blog – and yes, it is inspiring to venture out further into nature. It also gives a beautiful sense of being there in the moment, looking at the scene in person. Thanks! It’s a wonderful gift you are sharing. Thanks for the kind words. Enjoy. Not a problem at all. Thanks for the kind words. Hi Willie, I love reading about your exploits! Finally starting one of my own in the coming weeks and I wondered what you have found to be easiest way to acquire maps? There’s scarce material online! Keep climbing. Scott. Thanks Willie – will be in japan in under a week! Both the Yama to Kogen maps and the facebook group look promising, so thank you kindly. Are there any trails around this time of year that have particularly stood out to you in either the Alps (>2000m probably!) or Nikko? Best to steer clear of the Alps at this time of year. Lots of avalanche danger with the temps on the rise. That said I did climb Houou-san in the South Alps at this time of year from Yashajin Pass out of Kofu. The huts were open, beautiful mountain, a lot of snow but nothing overly dangerous on that route at that time (2008). Nikko in May I know nothing about, but Oku-shirane is a hike I recommend up there. As always, check conditions before you go.